For some people, their number one priority is to enjoy the content on the screen, anything else comes second. That’s why they go towards the best 17-inch laptops. A bigger screen also means more space to equip the unit with high-end components. That’s why a 17-inch screen laptop is usually capable of handling heavy software, as well as run AAA title games. Today, we review to top 12 best 17-inch laptops for huge screen lovers and power users. From the best 17-inch laptop, the very first thing you should expect, after of course a bright & bigger screen, is a solid performance. 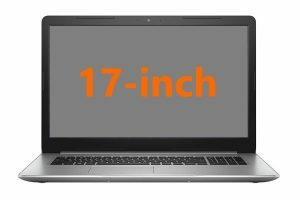 These 17-inch screen laptops are bigger than 14-inch or 15-inch models which give manufacturers enough space to accommodate good components and make it a high-performance laptop. Also, as you are buying a 17-inch laptop especially for the screen, you can expect the best experience from the display. We already mentioned that 17-inch notebooks are meant to attract heavy users and gamers. So obviously these laptops will have a solid built quality as they should have. You also have to know that you should not expect the lightest laptop on the market. While some laptop manufacturers did small miracles, some of them will feel more like a brick in your backpack than anything else… So if you are constantly moving around with your notebook, it’s something you should definitely think about. With high specs and components, most of them should be able to handle heavy multitasking as well as low to high-end games. Even the cheapest 17-inch laptop on this list will be able to handle dozens of tabs opened at the same time and HD streaming. A 17-inch screen laptop means the display is the highlight of the unit. 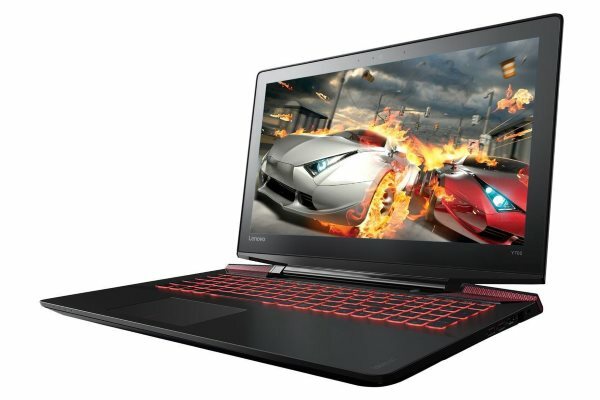 So, the best 17-inch notebooks should give you a bright screen with great color accuracy so that movie lovers, gamers to professional photo & video editors can get the best out of it. Also, most of them will be equipped with a dedicated graphics cards to satisfy those users. A good screen on any entertainment machine is not complete without a good sound system. So depending on the amount you are spending on your 17-inch screen laptop, you should get average-to-high quality speakers on your unit. Battery life should not be your priority when buying a 17-inch laptop because bigger screens will consume more power than the smaller ones. But, while you probably won’t get a laptop with the longest battery life, you can still expect a few hours of battery from the best 17-inch laptops. Now that you know what to expect, let’s look at the top rated 17-inch laptops! 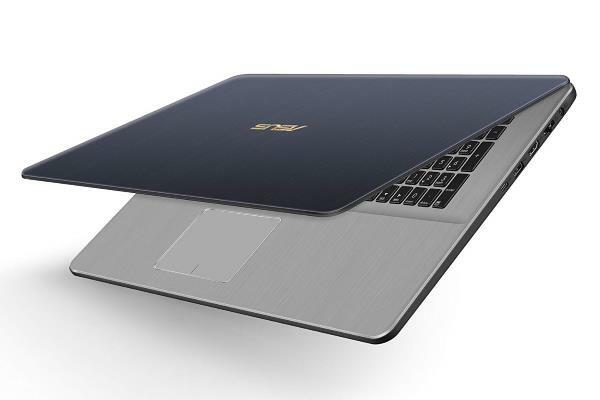 The Asus VivoBook Pro N705UD is aimed at high-end graphics designer and video editors. With it’s i7 processor and powerful graphics card, it won’t let you down! It’s also one of the lightest and thinnest 17-inch laptops you can find. Despite being a non-ROG laptop from Asus, it also has exceptional abilities to run games with moderate settings. However, AAA titled games with high quality will cause the system to work below your expectation. Apart from being a graphics editing & gaming laptop, it will work wonders as an entertainment machine. The display is colorful, the audio system is great and it also offers bass, unlike any other Asus 17-inch laptop at this price range. The keyboard is spacious and has good key travel which feels comfortable for long-time use. And all these in a lightweight package. In fact, this is of the most lightweight 17-inch laptop we reviewed here. 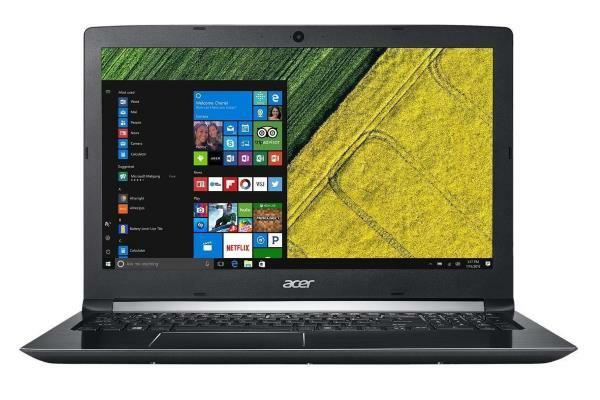 The Acer Aspire 5 is one of the best budget 17-inch laptops that you’ll find with such premium built quality. Despite being made of plastic material, this laptop has very little flex. Even though the screen is not the brightest, no matter which angle do you want to place the screen, you’ll enjoy content on it. Also, with a good number of connectors and premium-like backlit keyboard, the unit is perfect for home and office use. However, as it is one of the cheapest 17-inch laptop, you should not expect to do a lot of heavy 4K video editing work. But, with it’s i5 processor, 8 GB of RAM and entry-level dedicated GPU, it’s still sufficient for students and light gamers. The HP Envy 17t is a rather heavy machine with a weak battery, but with good graphics and a big SSD drive. However, what it lacks in battery and lightness, it makes up with its graphics, looks & power. The chrome finished edges and the glossy design makes it one of the top rated 17-inch laptop, look-wise. Most of the 17-inch screen laptops are dedicated towards heavy users who want to enjoy their contents on the biggest display possible. Aesthetics are hardly a prime criteria because they are hardly portable. So if you are not taking it out, it’s usually best to concentrate solely on the performance. 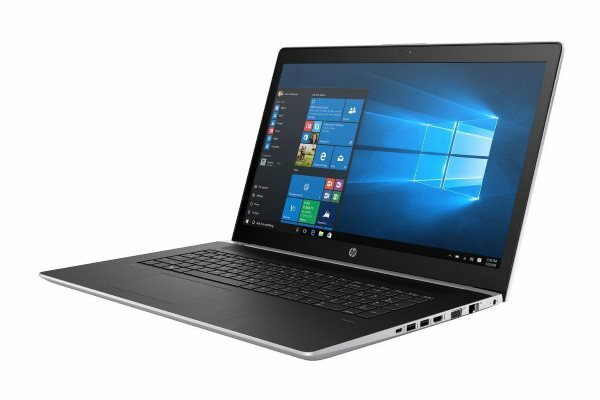 But with this model, HP made it good-looking, and also a powerful laptop with an i7 processor, 16 GB of RAM and a 512 GB SSD drive. So you can carry it to your office or on tours – although you’ll have to deal with its weight – and have all the power you need. Graphics are also pretty good with a quite vibrant HD display and an entry-level dedicated graphics card. So, you get a professional looking laptop that can also run high-end programs. What more do you need? 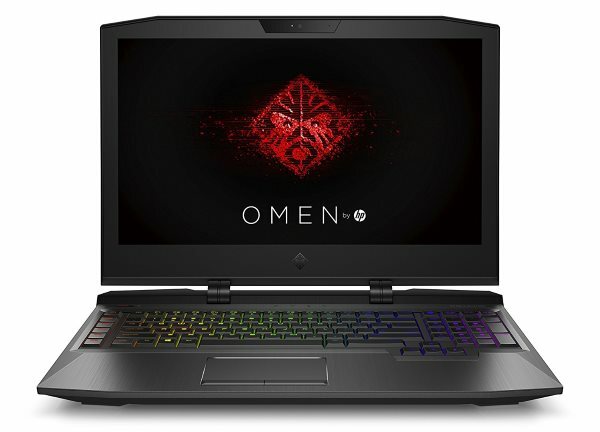 The Omen series is HP’s gaming laptops line. Just by looking at it, you can say it’s meant for gamers. And when you dive into the specs and the programs, you’ll agree with me that it’s a dream setup for a gamer. It looks like an aggressive gaming machine and on the back of the display, you have 5 different placed to program RGB lights. Also, it is one of the best 17-inch laptop screens that you can expect on a gaming laptop. And, with an i7 CPU, 16 GB of RAM, an SSD hybrid drive and an NVIDIA GTX 1070, it doesn’t only look like a gaming laptop, it works like one. However, you’ll have to have a deep wallet to purchase it, and make sure you don’t have to carry it often because, at 10 pounds, it’s more a desktop than a portable laptop. But other than that… wow, what a machine. 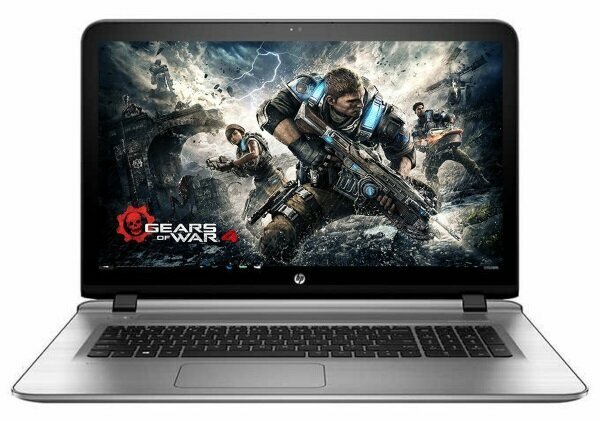 If you are a professional that doesn’t want the aggressive gaming look and prefer something simple & sleek, the HP Probook 470 G5 is for you. It’s a light and thin 17-inch laptop and one that delivers good value. The specs on it are not crazy high like the HP Omen, but it’s definitely more than enough if you need an engineering laptop or a programming notebook. Also, the sleek look and lightweight construction make it a perfect companion to be carried around your office. The keyboard and trackpad are very comfortable and the overall build quality is quite robust for a 17-inch screen laptop. The screen is also very bright but I wouldn’t recommend it for heavy creative works where high color precision is expected. Apart from that, it’s a good for any average user. Like the HP Probook, this one is also one of the cheapest 17-inch laptop available in the market, but this one is even more powerful. For graphics-intensive tasks, this one is definitely a winner. However, they sacrificed on the color accuracy that is somewhat average. For this reason, I wouldn’t recommend it for graphics designers or 4K video editors. Even though the machine is capable of handling such tasks, the lack of color accuracy may affect your output. 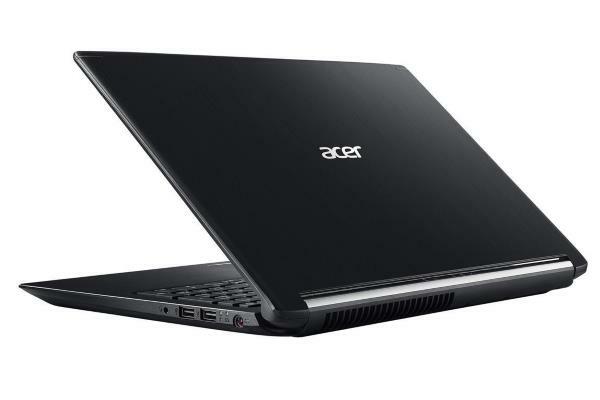 However, for gamers or if you need a CAD laptop, this is one of the best 17-inch notebooks. It has the powerful specs needed, and the keyboard & touchpad are super responsive. Also, the device doesn’t heat up as quickly as other gaming laptops do. So it’s definitely one of the best 17-inch laptops under 1000. 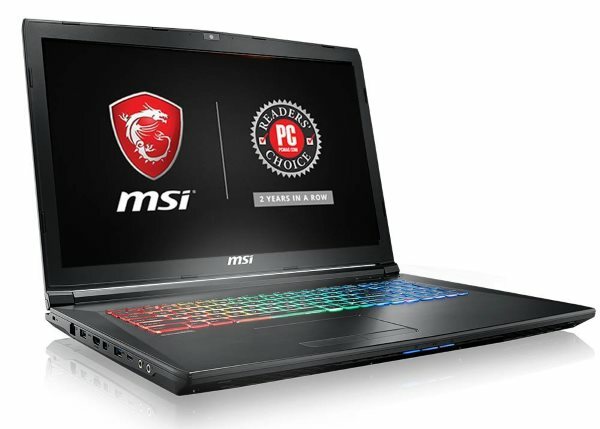 MSI is one of the laptop brands that have a huge number of variants. Their laptops are dedicated to gamers that require performance and they usually boast an aggressive look. The GP72X Leopard Pro-622 is no exception. This laptop is powerful enough to run high-end games and heavy photo & video editing tools smoothly. That’s why it’s a good machine for creative persons. 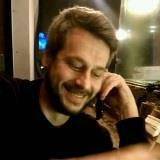 Besides, the screen is bright and the colors are very accurate which is a must for creative professionals. The brushed Aluminium unit is sturdy and feels premium. However, the battery life suffers when heavier tools and games are launched. 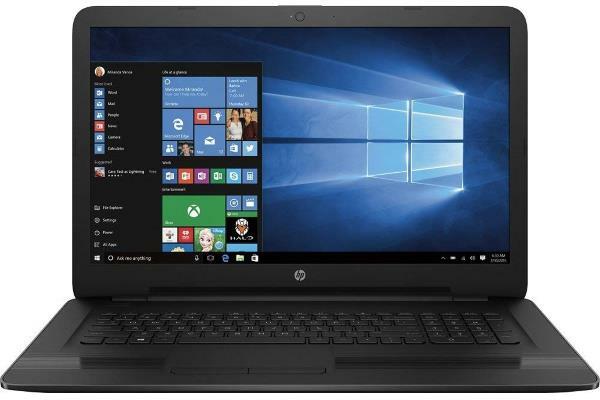 HP 17-X115dx is also one of the cheapest 17-inch laptops that offer great value to the users. It is an affordable and efficient unit that can handle almost all your office works unless you rely on heavy editing tools for your work. Although it’s not made for heavy software handling or AAA titled game, it is still a good option for power users since it has a powerful CPU and enough RAM to handle heavy multitasking. As for the build quality, this is not the best 17-inch laptop, but it’s still decent for the price. However, it does have a vibrant screen and a good sound system, which is not that common among even the best 17-inch laptops under 1000. 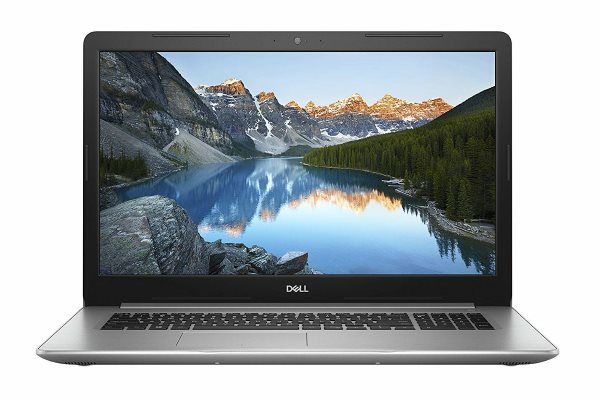 As the specs sheet and features go, Dell Inspiron i5770 is definitely one of the best value 17-inch laptops on this list and makes a good affordable laptop for college students. 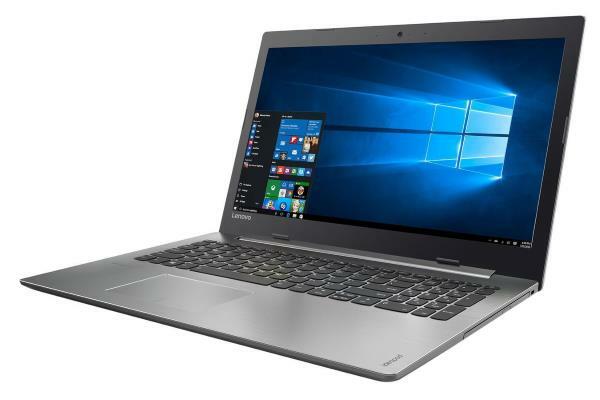 This is one of the most affordable 17-inch laptops and has a bright, crisp, and detailed display, which is very unusual at this price point. Also, the audio is great. But the most surprising thing about this laptop is its multitasking abilities. Even with such low specification compared to others on this list, this one is very fast in operations. But keep in mind that it’s not meant for super heavy usage. 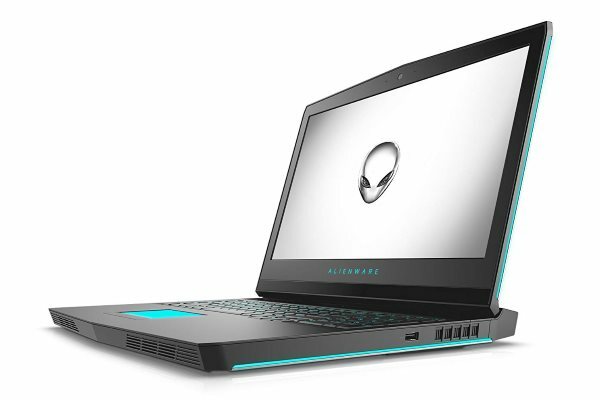 Alienware laptops are powerful in general but with this particular model, the Alienware AW17R4, Dell has reached another step closer to completely replacing a gaming desktop. It’s definitely one of the best gaming laptops under $2000. Even though its price is on the higher end, the setup is so impressive that it’s worth every penny. With a good-looking, mostly aluminium body and high-performance components, this is a real 17-inch gaming laptop in every sense. Like the HP Omen, this one also has programmable RGB but on a grander scale. This time, you can program the RGB in 13 different places and feel like a pro gamer. The sound system is impressive and you get a little bass with it. The screen has zero tearing and the colors are accurate. Along with that, it has 6 customizable buttons to configure in the way you like. In short, it is one of the best 17-inch laptops for gaming and heavy usage that your money can buy. Apart from its unique shape and design, one thing that you’ll notice right off the bat is its sturdy brushed aluminium finish. Like any other gaming laptop, this one has an aggressive look and of course, a backlit – red – keyboard. The key travel is sufficient enough to make your comfortable while gaming and the touchpad are also very responsive. One thing that you need to know about Lenovo Ideapad Y700 is while it can run medium to low graphics intensive games smoothly, for higher end games, this might underperform. That being said, this unit has an excellent sound system which makes this 17-inch screen laptop a good movie-watching machine. Even though it’s not for AAA title games, the Lenovo Ideapad 320 can handle games like rocket league and Minecraft. Also, the screen is an absolute charm and to be honest, it’s better than some of the expensive ones, but it doesn’t have a full-HD resolution. The keypad is good and the travel is sufficient to be satisfying. However, it’s not backlit and you need to sit at a specific angle to enjoy the display at its fullest.